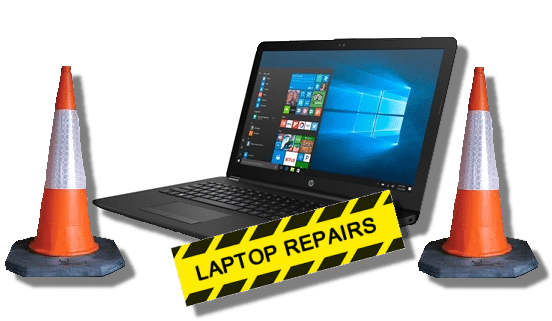 As laptop repair specialists, we successfully repair many damaged and broken laptops, notebooks and netbooks, not only cost effective but also guaranteed. Power connector faults are a common problem, this can lead intermittent or no charging. Often it will work if you wiggle or push the lead to get the laptop power charge light to illuminate in the laptop, we can replace the DC Jack or Supply a new PSU whatever is needed, to get you up and running again. 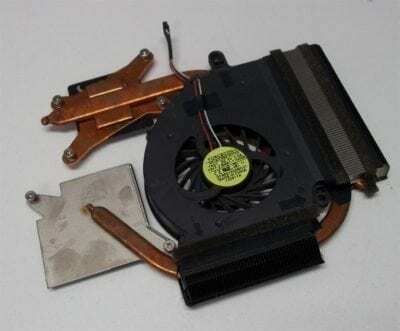 We can clean out the fan and repaste the processor on your laptop if you are getting fan errors, this is mainly caused by dust build up, if the fan needs replacing we can supply a new fan. 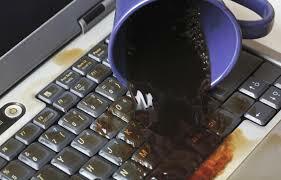 Fluid spills can severely damage a laptop. The recommended procedure ff you have an accident is to immediately remove the battery and power lead and turn the laptop upside down. This will remove as much fluid as possible. 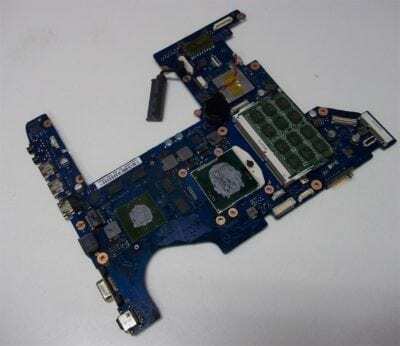 You should not turn on the laptop, even if it may work for short period, but the fluid will cause corrosion to the motherboard and may ruin the laptop beyond economical repair. Some laptop motherboard issues can be fixed, including BIOS / CMOS chips, USB ports. 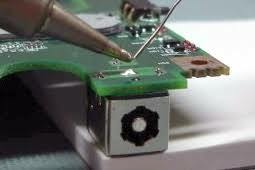 Fixing a motherboard is less expensive than replacing the complete motherboard, thus keeping the laptop repair cost down! 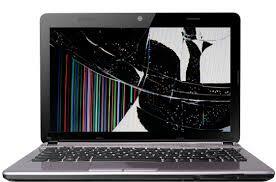 Laptop screens can fail and get broken easily, fortunately many may not be too expensive to repair or replace depending on the cause. If you can see coloured lines or blocks on the laptop screen, the fault may be either the screen or the motherboard. If the screen has cracks or large blotches or looks like it is leaking then the fault is likely the laptop screen rather than another component of the laptop. Screens can be replaced with new and cost a lot less than a new laptop. Laptop keyboards and mouse pad’s are often damaged through wear and tear or fluid spilled between the laptop keys. Symptom is one or more keys do not work or requires force. The fix is usually to replace the keyboard. Occasionally, motherboard faults can develop that prevent the keyboard from working. Broken cases often leave the laptop working but do not look good! We can replace most cases, whether the top or bottom or the entire laptop case. These can often be purchased from new from the manufacturer, if none are available we may be able to source second hand laptop cases for the specific laptop model. We can replace broken laptop hinges for most laptop models. Laptop drives are often rather flimsy and can easily be broken. The DVD or CD drive tray rails can become bent and optics damaged. We can provide and fit replacement drives, it is important to use the exact laptop drive replacement for repair as the front fascia must match. Sometimes the connector from the drive to the motherboard can be broken rather than the drive itself. Hard drive problems can occur quite frequently, particularly if the laptop has been banged or dropped whilst turned on as the drive is only manufactured to withstand minimal g force. The symptoms may include Windows not loading up properly or software crashes. Data errors may be corrected, but it may also be necessary to install a new drive and either copy data and reinstall Windows. Argon Computing Southend Rochford offer a data recovery service to Southend and Rochford Essex, if your hard drive has failed or has been damaged contact us on 01702 547625.